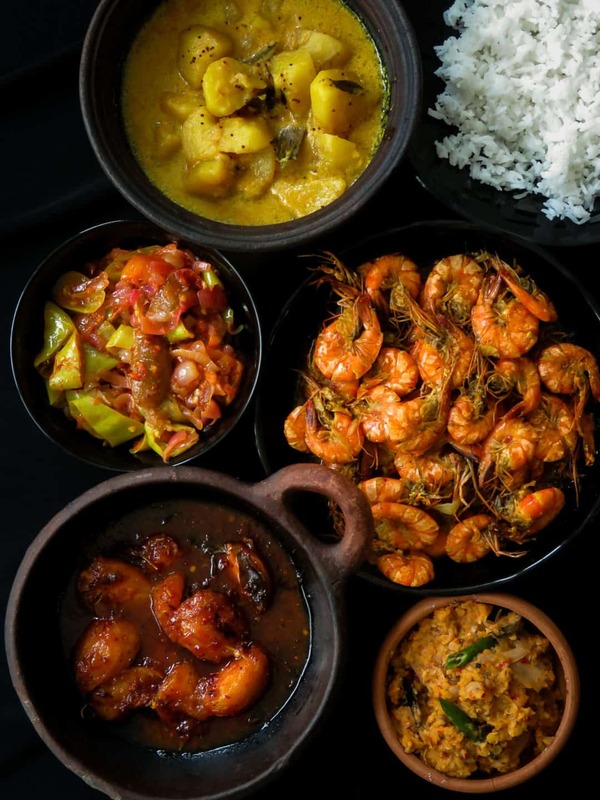 Sri Lankan meal plan 2- Rice with prawns cooked in coconut milk, tempered-dry spicy dhal, capsicum with pickled lime sambol, a creamy potato milk curry and a sweet and spicy ambarella curry makes up this five-dish menu. 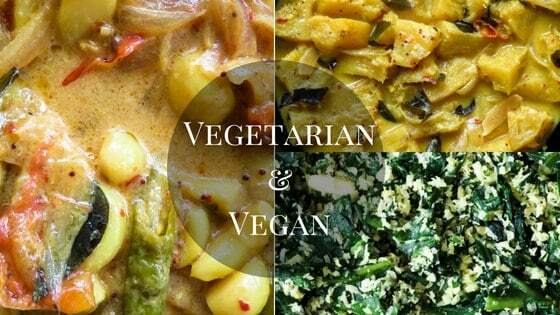 My second Sri Lankan meal plan for you to try. 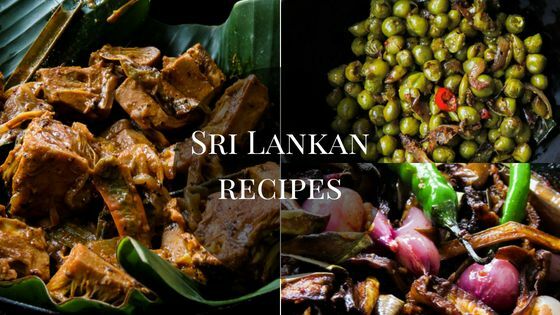 The idea behind Sri Lankan menu theme or any meal plans I cover under the same title is to make your meal planning a little easier. It’s not always easy to come up with a menu for lunch, especially when you have to do it every day. 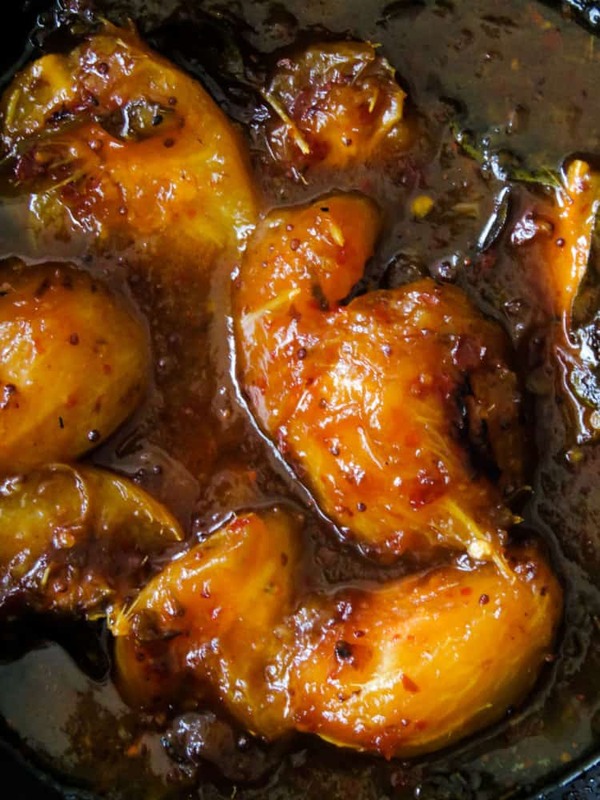 Making up a Sri Lankan meal can be a trial because there’s a variety of dishes involved, daily it’s a question of,”what can I cook today”or what curries will compliment each other, I write about this on the first meal plan I posted a few days ago. When you look at these meal plans, please remember I don’t cook five or six dishes daily. most days it’s just 2-3 curries and these are just my meal ideas I put together sometimes by myself or with a little help from mama.If you don’t like what you see, you can certainly change the dishes to suit your needs. Here’s an open invitation to send me your meal ideas as well. 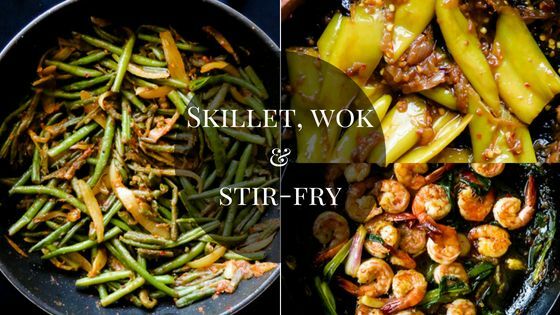 The ultimate goal of these meal plans is as I said to ease your cooking by helping you with the meal planning. I hope it will be helpful to someone out there to make their cooking and shopping a bit more organized and easier. How to prepare and cook your second lunch menu. 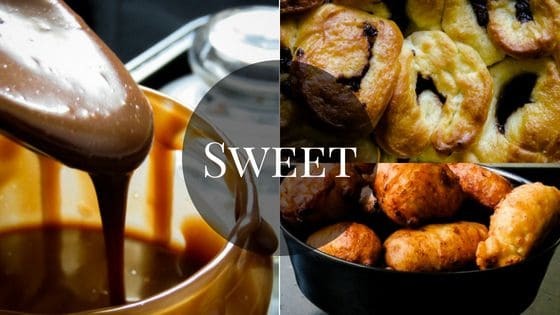 For individual recipes, press the name of the dish and you will be taken directly to the recipe. To be organized better and use the time available, I would also suggest, getting all the common ingredients prepared, in this case, that would be cutting and chopping the onions, tomatoes, green chillies and curry leaves then start with the dish that takes the longest to cook. I started with the potatoes and while it was on the stove, I continued with the sweet and spicy ambarella curry as it takes longer to clean. the dhal fry was an easy dish to prepare, so I was multitasking between cleaning the prawns and keeping an eye on the dhal. 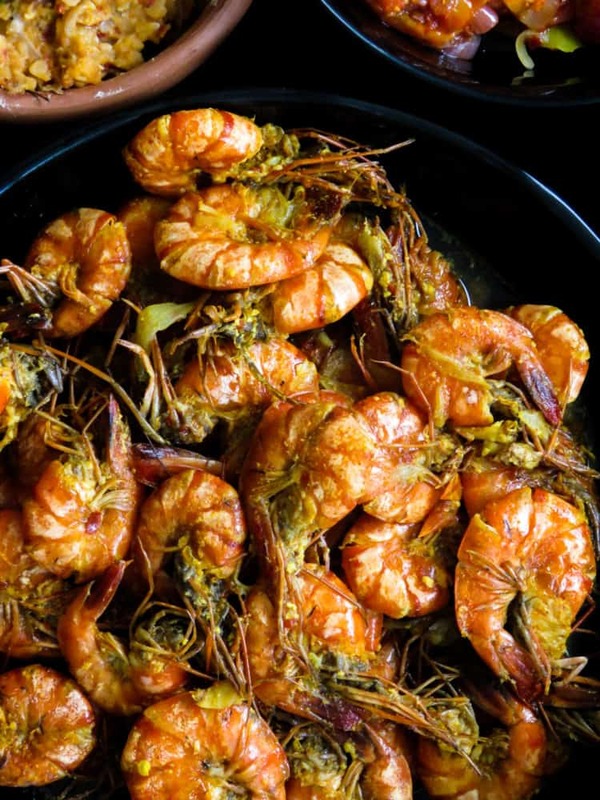 Cooking a tasty prawn curry is not that difficult, I find marinating them for a few minutes and adding them to a prepared gravy and not overcooking them gives me the best results. 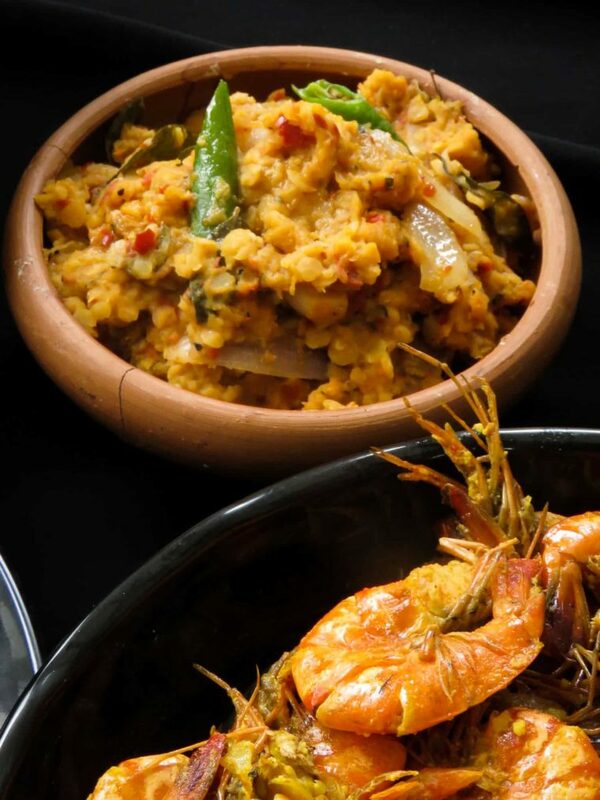 A sweet and spicy ambarella curry always makes a meal special. 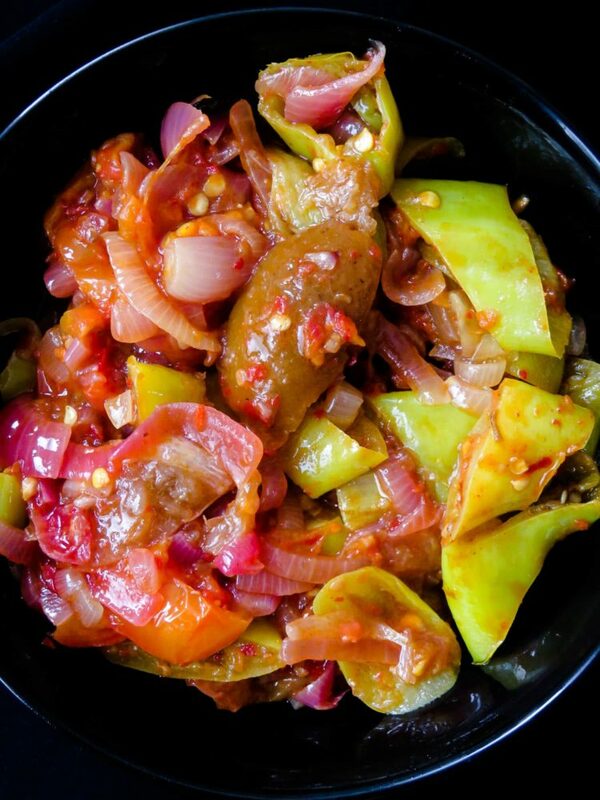 A dish of capsicum and pickled lime adds a different flavor to the whole menu. 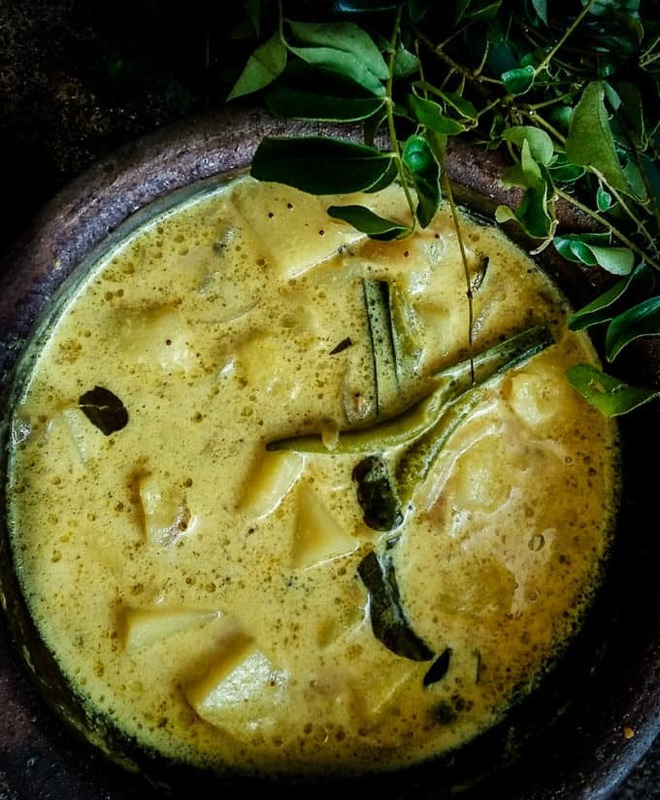 You will need one creamy and mildly spiced dish to help you with any kind of spiciness in the meal and this creamy potato curry would do just that. Dhal fry that you see above is my wild card dish on the menu, I simply cook the dish the way I cook any dhal curry but instead of adding coconut milk once the dhal is cooked in water, I pour in a few tablespoons of oil, followed by green chillies, sliced onions and chill flecks, season with salt and give it a mix while not trying to turn it into a paste. 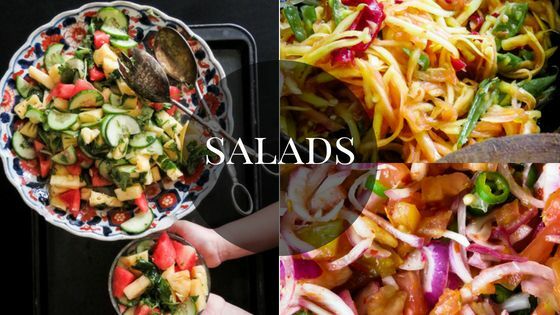 You can always replace this dish with any type of green salad or Mallung. 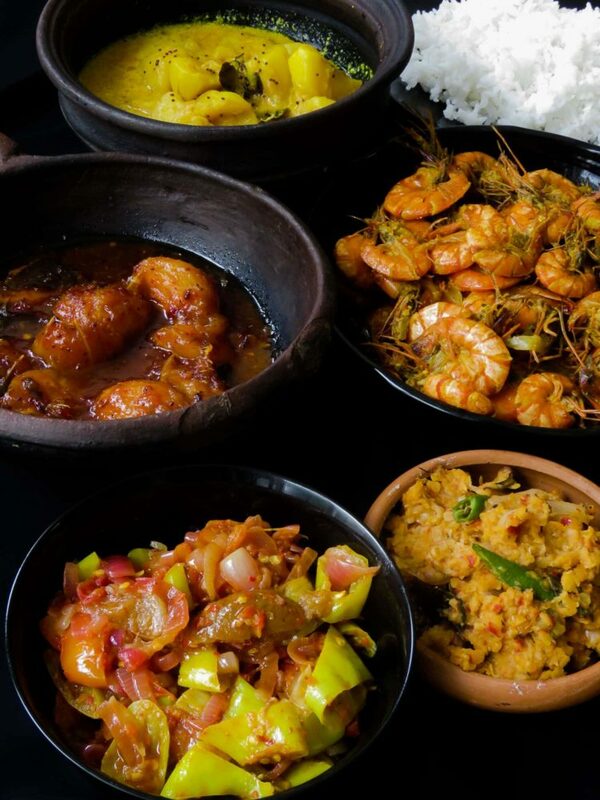 Well, that’s it for my 2nd Sri Lankan meal plan, hope you’ll join me on my next menu.